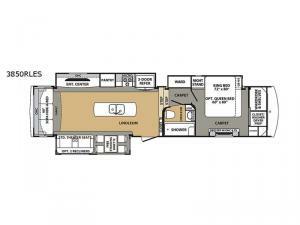 This Forest River Cardinal Estate 3850RLES fifth wheel takes camping to a whole new level. 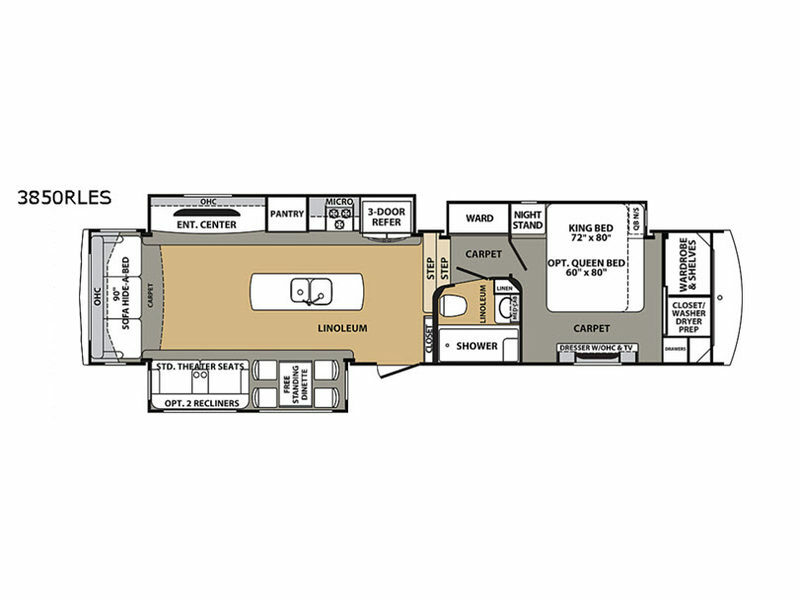 From the entertainment center to the 19' power awning, you are sure to have a fun and relaxing trip. You can experience it with enough sleeping space for your medium sized family or group of friends with the hide-a-bed sofa and king bed. Meal prepping for your group will be much easier because of the kitchen island with a stainless steel double sink. You will also have plenty of space to store your sweet treats inside the three door refrigerator.